Here are some of our elite customers from various verticals including Finance, IT, E-Commerce, Healthcare, Education & Government Organizations. Here are some of the success stories shared by our Customers around the world. Your software (Facebook Password Pro) has helped me to get back my Facebook password which I had forgotten after my long vacation. Thank you XenArmor for the great software. Many times it has helped me to instantly recover passwords from my client’s computer with just a click of button. This software must be in the toolbox of any forensic or pentesting professional. Got my website password instantly which I had forgotten as it was not visited regularly. 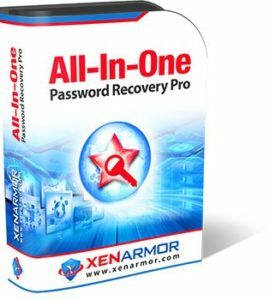 Perfect software by XenArmor to recover your lost passwords. It was several days that I tried to open my mail (gmail) but unfortunately someone had stolen and modified it. So impossible to recover it via Google. A friend suggested “BrowserPasswordRecovery” to me and, as if by magic, all the passwords used on my computer appeared, well 671!